Adidas Victory League by Adidas is a Oriental Woody fragrance for men. 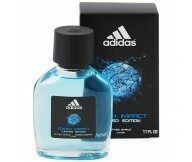 The fragrance fea..
Adidas Team Force by Adidas is a Aromatic fragrance for men. 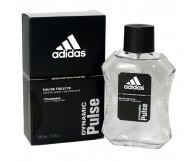 Top notes are aldehydes, orange,..
Fresh Impact by Adidas is fragrances for men. Fresh Impact, EDT for men, opens with luminous ..
Adidas Extreme Power Special Edition is a new fragrance by Adidas, transferring excitement an..
Adidas Dynamic Pulse by Adidas is a fragrance for men. The fragrance features citruses, mint, ced..
Adidas is a German athletic shoe and apparel brand founded in 1948 by Adolph "Adi" Dassler. The company name is a actually a hybrid of "Adi" and "Dassler," though it also is popularly known as an acronym for "All Day I Dream About Sport." The company's distinct three-bar logo which adorns most of their apparel and merchandise was originally used by a Finnish apparel company called Karhu Sports. 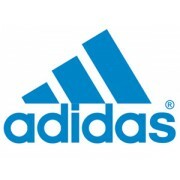 Adidas bought the logo from Karhu in 1951. Adidas partnered with Coty in 1985 to produce a line of fragrances. They have achieved particular success in the male market, and fragrances and body care products are marketed under the Adidas brand in more than 82 countries today. 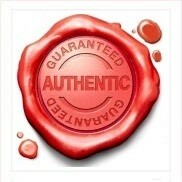 The fragrances for men and women often feature a sporty name and bottle design. Designer Adidas has 56 perfumes in our fragrance base. The earliest edition was created in 1990 and the newest is from 2014. Adidas fragrances were made in collaboration with perfumers Ursula Wandel, Alain Astori, Jean-Pierre Mary, Martine Pallix, Nathalie Lorson, Jean-Pierre Bethouart, Jacques Huclier, Philippe Bousseton, Benoist Lapouza, Quest International, Sabine De Tscharner, Harry Fremont, Olivier Pescheux and Maurice Roucel.